It’s been a bad year for ancient Roman monuments–particularly gladiator-related ones. Last May, part of the roof of the Colosseum fell in. 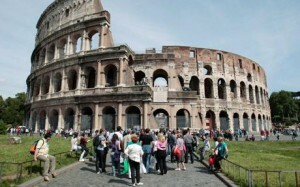 The three chunks of mortar plummeted to the ground around dawn on Sunday, a few hours before thousands of tourists tramped through the gladiatorial arena. They crashed through a wire protection net which was supposed to have prevented such accidents, but which is more than 30 years old. Archeologists warned that disaster had only narrowly been averted and that visitors could have been badly injured or even killed by the debris. 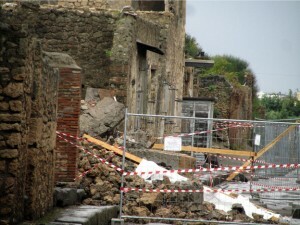 A few weeks ago, the House of the Gladiators at Pompeii collapsed. The collapses made world headlines and triggered criticism of sharp budget cuts and charges of neglect of Italy’s vast archaeological heritage. Economics Minister Giulio Tremonti said “you can’t eat culture” as he drastically cut ministry funds. Prime Minister Silvio Berlusconi’s people, Necco says, have turned Pompeii into a flashy profit-maker, staging high-profile concerts and a gimmicky multimedia tour. The Berlusconi government is widely accused of crassly exploiting Italy’s artistic heritage, not conserving it. The culture minister appointed a former McDonald’s manager with no artistic expertise as his right-hand man. And earlier, in March, a portion of the roof of Nero’s Domus Aurea (“Golden House”) caved in as well. 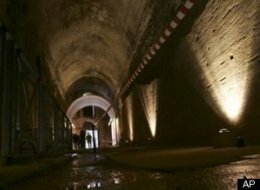 A huge chunk of a 2,000-year-old gallery in the complex including Emperor Nero’s fabled Golden Palace collapsed … Firefighters searched the area, but found no victims, leading officials to say they believed nobody was inside when the structure collapsed around 10 a.m. Nero’s nearby Palace had been closed as workers were doing repairs. It was one of the area’s biggest collapses in 50 year… The incident rekindled doubts over the stability of the site, which was shut down for 18 years until 1999 over structural concerns, which still at times force temporary closures. Fortunately no one has been injured in any of these collapses, but it’s only a matter of time. One hopes that if the threat to their cultural heritage won’t motivate the Berlusconi’s government, perhaps the growing threat to human lives will.